Tobacco companies spend over $9 billion a year advertising their products to the masses. There is no doubt that not only does smoking lead to disease and disability, but it also takes years off of your life. Did you know smokers are three times more likely to die prematurely than non-smokers? Even if you happen to be one of the few long-term smokers lucky enough to live an extended life, you’ll likely be living with the effects thatr smoking has taken on your body and almost certainly COPD. 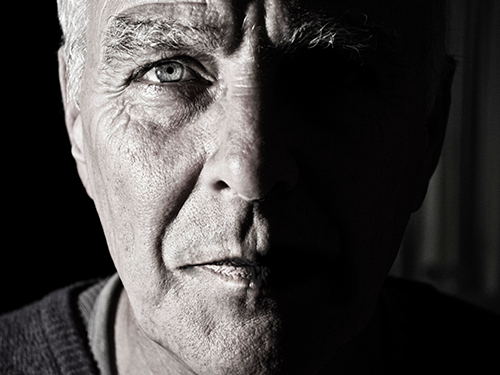 COPD develops over time as smoke damages the air sacs, airways, and the linings of your lungs. Injured lungs have trouble moving air in and out which makes breathing very difficult. Your smoking habit could leave you needing an oxygen tank everywhere you go and struggling to feel like you are getting your breath. Well, the first thing to do is quit. Smokers who quit before the age of 40 add roughly 10 years onto their life expectancy. Second, breathe in as much fresh air as possible. Spending time outdoors and limiting time around environments with poor ventilation are both musts. Third, maintain as healthy a diet as you can and eat plenty of fruits and vegetables. While smoking compromises your lungs’ ability to clean themselves leaves them open to infection, healthy nutrition enables the body to fight off secondary infections. Lastly, get as much physical exercise as possible. Walking, cycling, jogging, and any other cardiovascular workouts can be an excellent way to strengthen and expand your lung capacity. If you have COPD and feel like you’re out of options, have no fear! 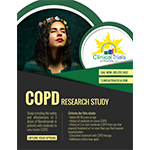 The friendly staff at Clinical Trials of Florida have new and exciting research studies for patients with COPD! Participants of clinical studies are evaluated by medical professionals and often receive great information on how to manage their condition. Further, qualified participants may receive new treatments before they are available on the market as well as compensation for their time and travel expenses. No insurance is required to participate! To learn more call Clinical Trials of Florida at 305-255-7452 or click below. Click to learn more about this study opportunity.